Funded by the Engineering and Physical Sciences Research Council (EPSRC) and the National Cyber Security Centre (NCSC), the Research Institute in Secure Hardware and Embedded Systems (RISE) is one of four cyber security institutes in the UK and will be a global hub for research and innovation in hardware security over the next five years. This £5 million multi-university Research Institute to improve hardware security and reduce vulnerability to cyber threats was launched at the Centre for Secure Information Technologies (CSIT), Queen’s University Belfast. RISE will tackle the global problem of cyber threats through four initial component projects, which will be led by UK research partners from Queen’s University, the University of Cambridge, University of Bristol and University of Birmingham. An advisory board will also be created to allow member companies and stakeholders to engage with the research and to inform future funding calls around the Institute’s research challenges. Following a competitive call by EPSRC and NCSC in March 2017 for a new research institute in Hardware Security, Professor Maire O’Neill, a leading cryptography expert at Queen’s University, was selected as Director. Based at CSIT, Professor O’Neill will work towards increasing the nation’s academic capability in all fields of hardware security. 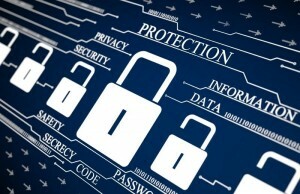 “There is huge demand for hardware security research and innovation. As CSIT is renowned for its high-quality research in this field, and its emphasis on commercialisation of research, we are delighted to host RISE. CSIT, an Academic Centre of Excellence in Cyber Security Research, is based at Queen’s University’s Institute of Electronics, Communications and Information Technology (ECIT), located in the Northern Ireland Science Park. In 2015, CSIT received a Queen’s Anniversary Prize for strengthening global cyber security and protecting the online activity of billions of internet users around the world.